8-3 Stayed inshore today. Caught a couple on the troll and then spent our time chunking. 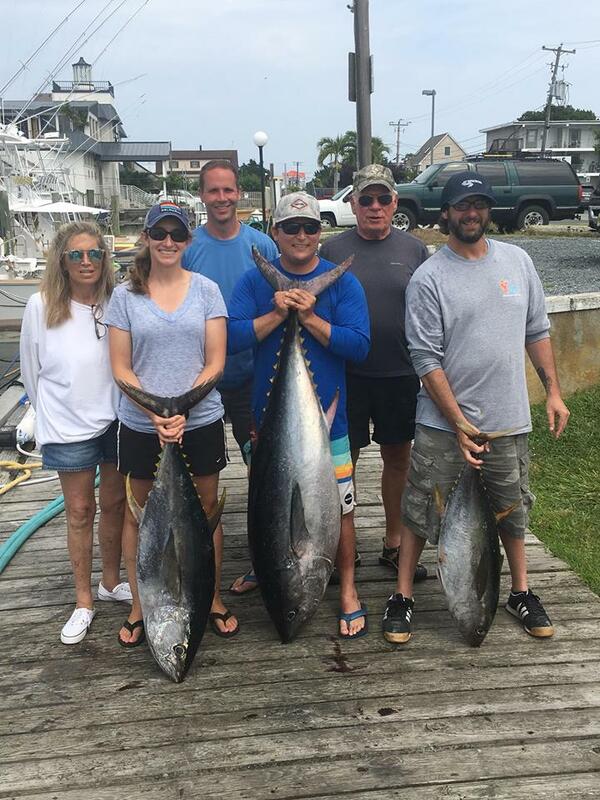 Caught our limit of under bluefins, but didn’t get any overs. I would like to take a minute and let all know that “That’s Right” is official up for sale. The reason for this move is to allow me to have a new Boat built!! 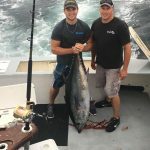 I’m not done nor am I finished Charter fishing. Just wanted all to know, I certainly don’t need any false rumors going around. 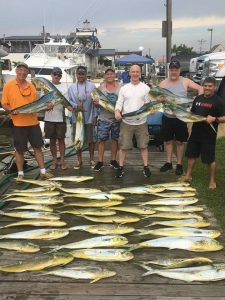 Wefished Tuesday as our first day. 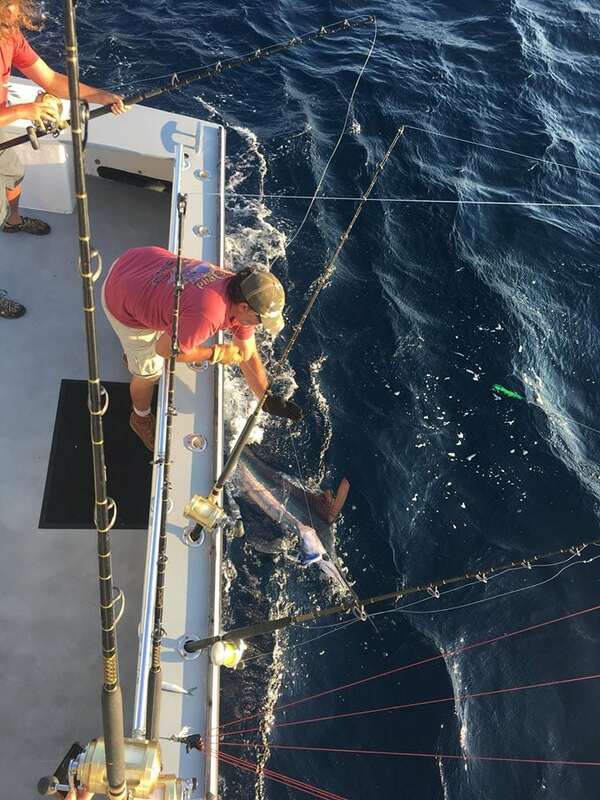 Saw some whites, but a couple wuld not bite and we pulled the hook on one. 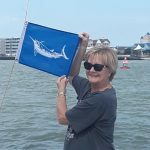 We released 1 white marlin and a small blue marlin. Wednesday was a long slow day. 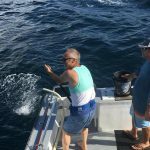 We released 1 white marlin. Decided to lay on Thursday and finish Friday. Finished up with another slow day. Overall we released 1 blue and a few whites. 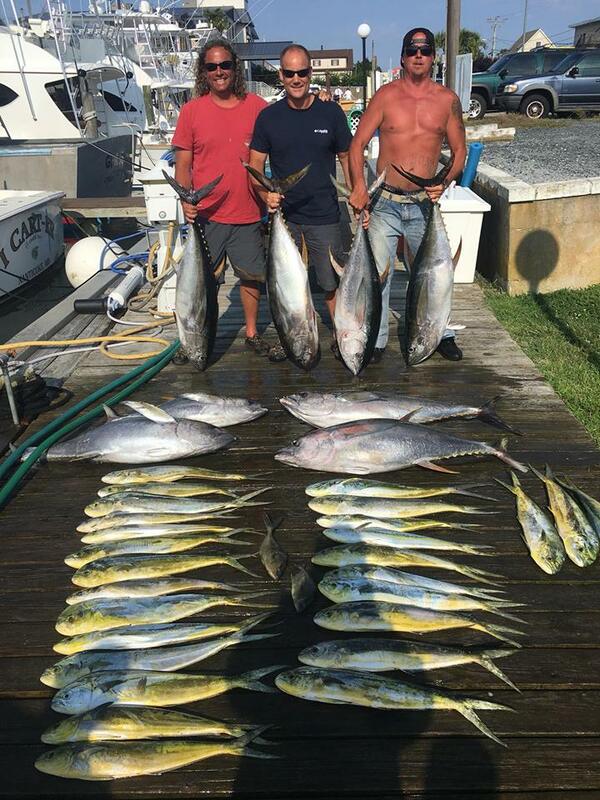 Not much in the way of tunas or dolphins. 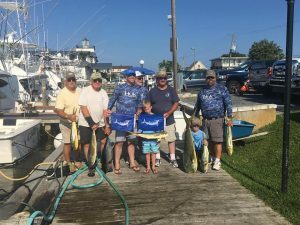 Tuna fishing on Ocean City has been slow bur we did catch some mahi mahi the last few days. 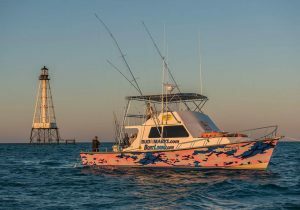 The white marlin are also around in decent numbers. Estelle Geranberry, a breast cancer survivor, had a great day with us. 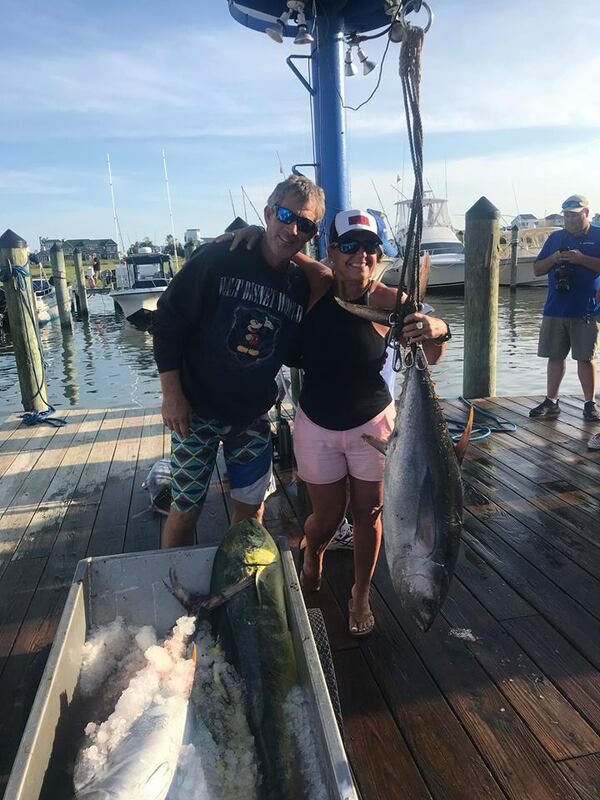 She finished her fishing goal by catching a white marlin, the last fish on her list. The ladies had a fun day. 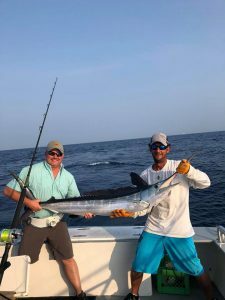 We went 3 for 3 on white marlin. 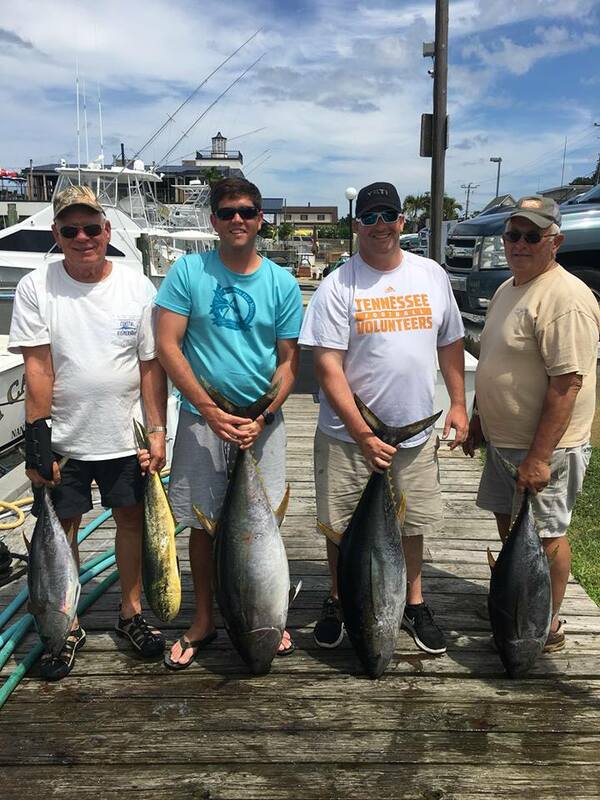 Top boat had 5. 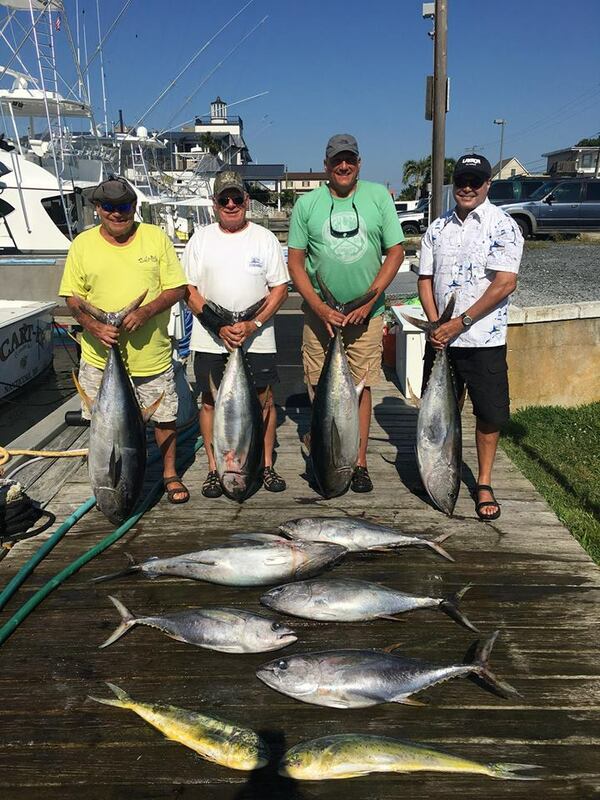 A great day on the water. Back out tomorrow with different group of ladies. 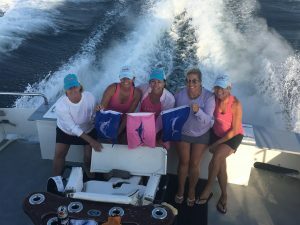 We had a fun week and had some white marlin releases. We had no fish to weigh in. Thursday was a rough tough day. We are going to be offering a special each month in Islamorada, starting with October! 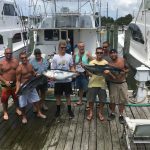 In the month of October for a group of up to 4, 3 night stay on the water and a day an a half of fishing $2300.00 don’t miss out!! 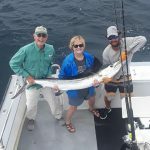 White marlin fishing has been good this past week. Had some good days then had a motor issue and lost a day. 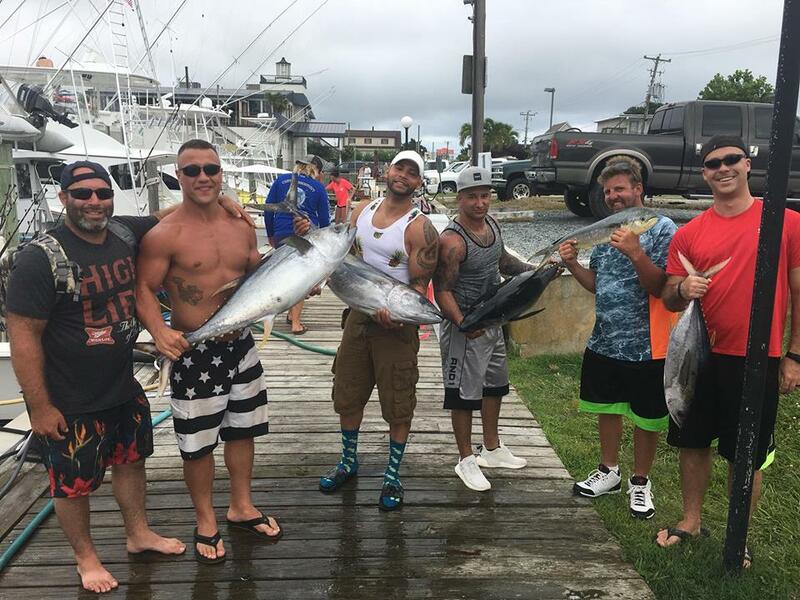 9-3 White marin fishing still good. Packing up to go to Islamorada. Fishing a couple more days here. 9-7. 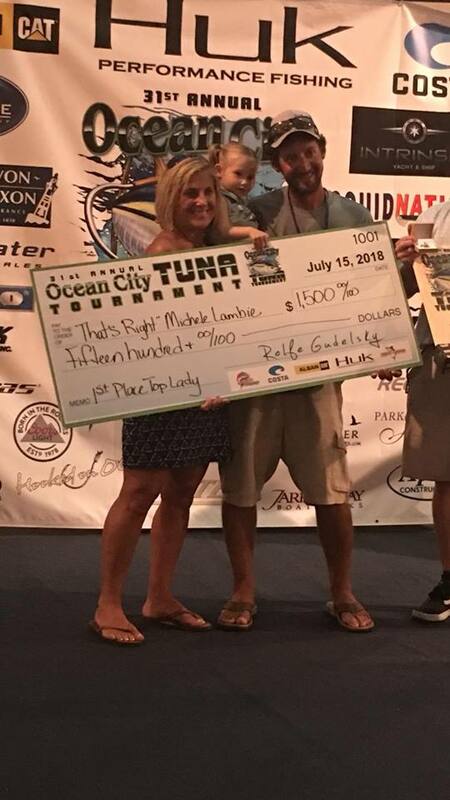 Had a big day on the dolphin on our last day in OCMD. Headed back tomorrow.